Dr Allen took the time to explain all of options and discuss everything aspect of with my care with me. She made me feel very comfortable with all the decisions my husband and I made. She answered all of our questions. Dr Allen checked on me throughout my recovery process. Is this Review about Lindsay ALLEN helpful to you? 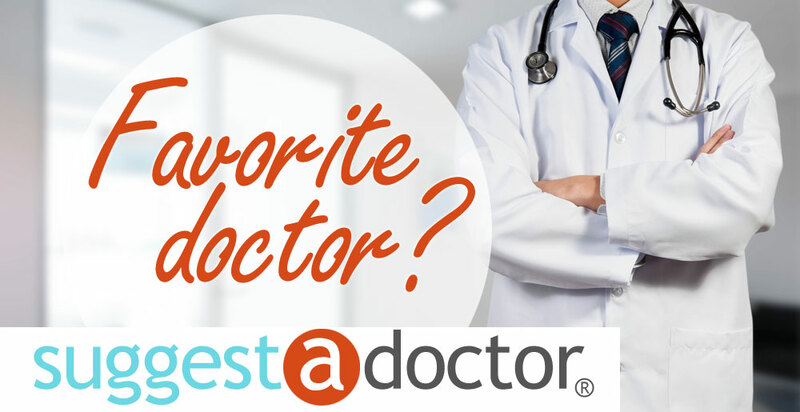 Dr. Day is an amazing doctor who has helped me every step of the way through my needs and hysterectomy. He is extremely friendly, comforting, knowledgeable and very very caring. I highly suggest him to anyone! Is this Review about Mark William DAY helpful to you? This Resident Physician schedules out very far because she is justifiably extremely popular. Her manner is kind and unassuming, never trying to jump to the "chief complaint" at your second word. She genuinely cares about the suffering of her patients, and strives to connect with them on a personal level. Dr. Tilley pulls on the resources available to her to fight for excellent care, even for patients with complicated cases or difficult insurances like Medicare and Medicaid. Is this Review about Joanna TILLEY helpful to you? He is very knowledgeable and caring. He listens to what I say and think and is very personable when it comes to discussing things. He doesn't speak "over my head." He makes sure I understand what he's saying. He delivered two of my three children and how I wish he would have been my doctor when I had my first child. Having such a compassionate doctor made a big difference. He's been my doctor for 17 years and will be my daughters doctor as well. Is this Review about Gregory Allen POTTS helpful to you? I recommend Dr. Seckin for the treatment of Endometriosis. He is an excellent surgeon and caring doctor. He specializes in Endometriosis. He performs excision surgery for Endometriosis. He knows all about the disease, and what it can do to a woman's life. I wish I found Dr. Seckin sooner. I appreciate his thoroughness and care so much. He truly cares for his patients, and I'm so glad he's my doctor. He's the only doctor I trust for the proper care and treatment of Endometriosis. He has helped me tremendously through the years with my struggle with severe Endometriosis and it's complications. I am very thankful for him. Is this Review about Tamer A. SECKIN helpful to you? Dr Barrington went above and beyond during my treatment time. She is the most compassionate doctor i have every com across. She is very experienced and trustworthy, I have been with her 10 years and she still makes you feel like a friend that really cares. I have had a few family members that also go to her and we all agree she is the bomb. Is this Review about Rebecca BARRINGTON helpful to you? I don’t know better physician than doctor Victor. Everything is perfect in his practice. His associates are great and they help people with different medical problems. Doctor Tsan’s patients respect and love him. I give him five stars. Dr. Horvath is extremely thorough and does everything she can to see that you get the treatment and care you need. I was a new patient who ended up being a surgical case. She took the time to talk to me and my husband about our options and then worked within our time constraints and with our insurance company to get the surgery approved and scheduled. Dr. Horvath is compassionate, caring, and an excellent surgeon. With her and her team you are in excellent hands. Her nurses are great too. I would recommend her or her associates to anyone. Dr. Horvath is also trained in the davinci robotic hysterectomy procedure. I couldn't have asked for a better doctor for my gynecological surgery. Is this Review about Susan Toung HORVATH helpful to you? Board-certified facial plastic surgeon Laurence Milgrim M.D. offers a wide range of services including Male Plastic Surgery, Body Contouring and Laser Resurfacing procedures. Contact him today to learn more. Is this Review about Laurence M. MILGRIM helpful to you? Well I say - one searched high and loh for this eye doctor. he quickly diagnosed ocular rosacea, put myself on appropriate treatment. never felt bettah in 25 years. Is this Review about Scott David CALDWELL helpful to you? Dr. Anita McCarthy at Erie Helping Hands in chicago is absolutely amazing. She is extremely compassionate and always trying to help you in anyway she can.... whether its phisically or emotionally, she is always there. Her bedside manner is like no other, and i have seen MANY physicians. She performed my hysterectomy and a cystoscopy for innercysticial cystitis. It went amazing, besides all the after pain. She is always willing to answer my calls and questions as soon as she can, with patience and understanding, no matter how silly the question. I truly recommend her to anyone. She is truly sn angel! Is this Review about Anita MCCARTHY helpful to you? The doctor is most kind and honest. The first eye was done elsewhere costing me much money. This would be OK if the crappy iol Crystal lens worked. After being dismissed and ignored I saw Dr Clark. He did my 2nd eye at no cost and it we worked great. I can even read with the eye. it takes over for the worthless vision of other eye. Is this Review about John MCBROOM helpful to you? Great physician. My testosterone is where it needs to be again thanks to this man and probably saved my marriage. Is this Review about Gordon M CASTLEBERRY helpful to you? Is this Review about Mauro Arnold COLAVITA helpful to you? He is so wonderful. He really listens to the patient and takes time to understand the problem. He is not only my OB/GYN, he was also my surgeon for my D&C and Hysterectomy! I practically don't even have a scar! This man takes his job seriously and treats his patients with care. He listens and answers any questions you may have. I will be a patient of his for as long as God allows! Is this Review about James Weldon HAMPTON helpful to you?